USA is in the leading list of colored gemstones consumers in the world, but not known as a big producer of precious stones, compared to the Far East, the traditional producers of the gems. When thinking of mining the precious emeralds, rubies, and diamonds, it is as well easy to think of Africa, India, and Columbia. However, there are plenty of precious metals in the US. The following are among the precious stone in the USA. 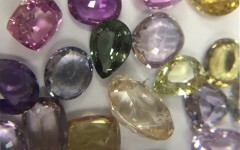 State of Arizona came into limelight in 2011, when the state led in production of gemstones. This state boasts of the rare and precious metal turquoise and peridot. Precious gemstones for example azurite and malachite are found in many copper mines. Lately rare cabochons, which include malachite and chryscolla have been found in Morenchi area. This region has the precious sapphires, rubies and emeralds gemstones. 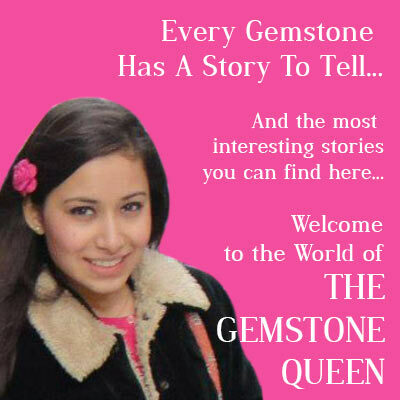 The area though has no big cutting industry and exploitation of these gemstones is in low scale. This region of north Carolina also has tourmaline, topaz, staurolite, and aquamarine. This region produces the world best quality of feldspar, a rare and high-quality gem. 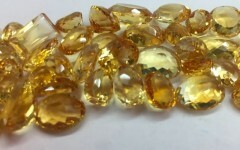 There is also small mining and production of the world appreciated Oregon sunstone gem, which is special transparent feldspar. The sunstone has tiny copper minerals in a common orientation. The cooper platelet in the sunstone reflects a flash of light. This region also has the famous thunder egg an ugly compound on the outside but with unique chalcedony crystals inside. The common rare gemstone here is the turquoise and tourmaline, which has a history dating back to 1800. There is the commercial exploitation of tourmaline gemstone in Riverdale and the San Diego counties. The region also has jasper, jade, agate, and garnet. California has the only source of benitoite, a titanium silicate compound. The famous gemstone here is the rare and precious pink topaz and now the red byryl, also known as bixbyite, which has attracted a lot of attention in this region. 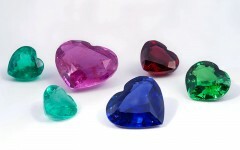 There are also numerous deposits of garnet, jasper, and amethyst. The beautiful tiffany can also be found in Utah. This is the only precious metal found in this region. The pearl is either in pink, blue or golden in color. Exploitation is in the hands of American Pearl Company. The most popular gemstone here is sapphire in Yogo Gulch, where the exploitation has been there for over a hundred years. The sapphire is found in rocks and deposits. 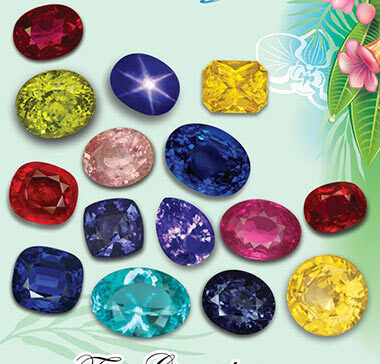 Sapphire is found in a range of colors, which are orange, yellow, purple, pale red, green, pink and blue. Colorado has the most gemstones, including tourmaline, turquoise, sapphire, agate, aquamarine, amazonite, topaz, peridot, and agate. The largest cut diamond was from Colorado, which was weighing 16.87 carats. The region referred as Gem state has a variety of gem materials. Popular being opal and star garnet. Tourmaline, topaz, zircon and jade have also been extracted from Idaho. Commercial mining of gemstones was first done here by non-natives, to exploit tourmaline. The region produces varieties of tourmaline, rose quartz and morganite.